The CR1125 Cold End is similar to CS&P and Hydrarig 1.250″ Cold Ends. It is used with well service pumps. This cold end requires a boost pump. The CR1125 Cold End is suitable for use with the following power ends. For further details please select the power end below. 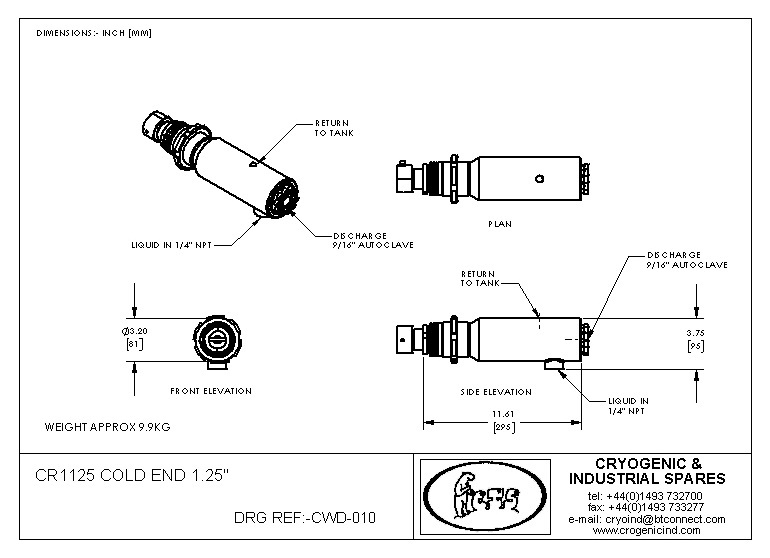 For further details about this cold end please contact us here, or view the CR1125-BOM and/or CR1125-ASSY.